In microgravity, physical phenomena which never appear on Earth may be clarified and the material constants may be measured more precisely. This is because the space environment is totally different from the Earth. For example, there is no liquid convection induced by the difference of density of two materials, and two different materials with differing densities can easily be mixed. In one space utilization application, new semiconductor, composite material or new protein crystal are expected to be processed in space. Industrial applications are urgently being sought. 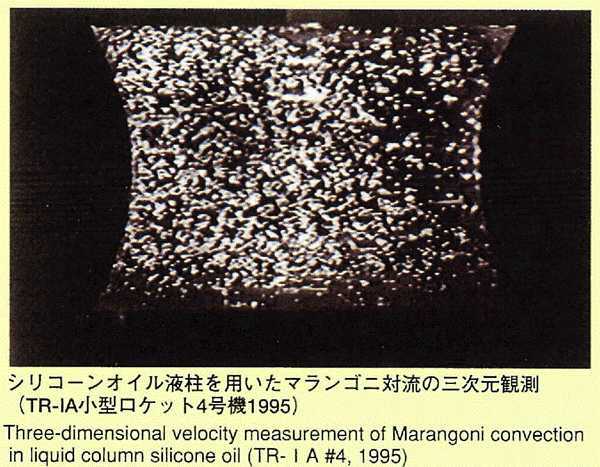 Although the diffusion coefficient in a liquid state of pure metals and alloys is industrially and scientifically important, few tests have been performed with high accuracy on the ground because the effects of convection are not negligible due to samples' high density and low viscosity. The Self diffusion coefficient of tin, an easily handled metal, will be measured using a stable isotope as a "tracer" of atomic transport. Tin has a comparatively low melting point (231degrees), allowing a wide range of temperature and precise examinations of temperature dependence. 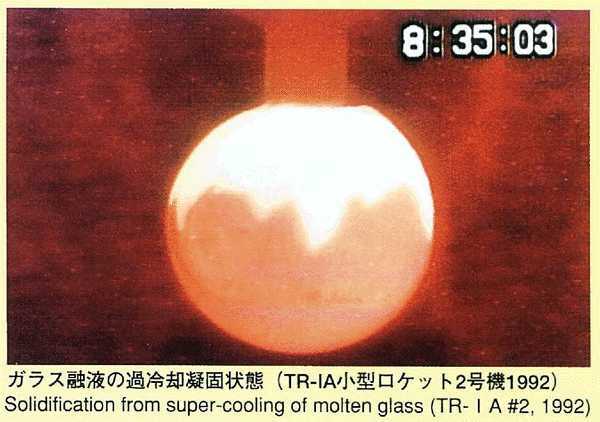 It is reported from the previous experiment performed on orbit that diffusion coefficient of tin was 20 persent less than that measured on the ground and the temperature coefficient is also different. In MSL-1, the temperature range is widened and new technology is introduced in order to perform experiments with higher accuracy. Results from these experiments should help us better understand the mechanism of diffusion process in liquid metal. 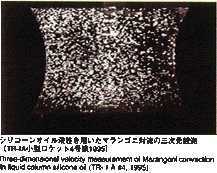 The most common method for measuring the diffusion coefficient, called the long capillary method, is introduced for this experiment. With this method the diffusion coefficient may be measured by examining time-dependent variations of concentration of tracer which is initially placed in a capillary shaped sample. For MSL-1, a rod-shaped sample of tin (2mm diamiter, 60mm long) with tin isotope (124Sn) placed on one end as a tracer is used. A melting pot with four cylindrical holes, each with diameter of 2mm and length of 80mm, made of graphite will be used. 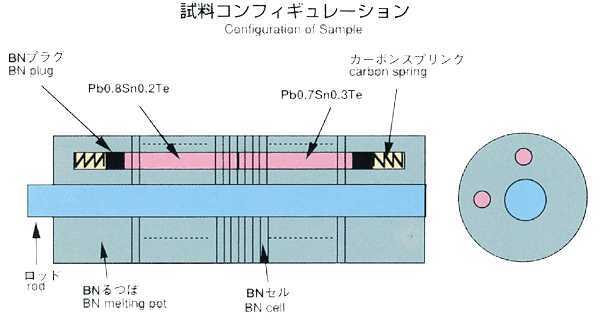 Also, a graphite lid and spring are implemented to eliminate the existence of free surface in response to the volume change of sample during heating, fusion, cooling and solidification processes. To prevent oxidation of the sample, the melting pot is double contained in cylindrical quartz and tantalum. After the sample is heated and melted, the temperature will be held, allowing the diffusion to proceed for a certain time. 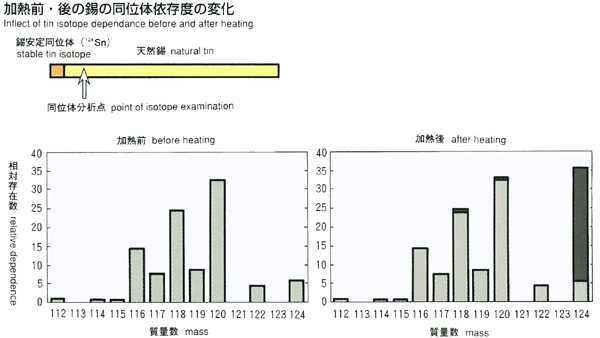 The sample will be cooled down and be solidified. The diffusion coefficient will be determined by analyzing the isotope density of the sample. 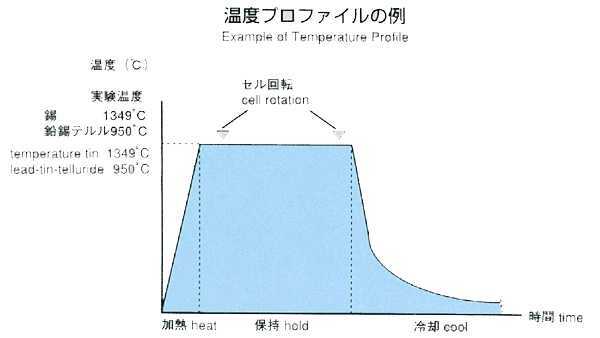 Because the theoretical diffusion model is based on a constant temperature, the diffusion which occurs during the heating and cooling process introduces some errors into calculations. 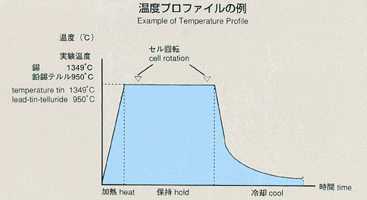 Rapid heating and cooling will minimize these effects, and an accurate diffusion coefficient will be determined, and compared with results from the Shear Cell Method. Diffusion coefficient is of great importance in manufacturing high-quality, homogeneous crystals for semiconductors and must be considered to produce quality devices, especially for combined semiconductors. In MSL-1, a combined semiconductor, lead-tin-telluride, generally used for infrared semiconductor lasers or exposures, will be provided and the diffusion coefficient of lead and tin will be measured. The results should be of great use for determining the best conditions to form a homogeneous crystal. From basic science aspects, multiple atoms in molten combined semiconductors travel under influence of the chemical bonding between them. An accurate diffusion coefficient measured in space should help us better understand the mechanism of diffusion in molten semiconductors. The most common method for measuring the diffusion coefficient, the long-capillary method, is introduced for this experiment. 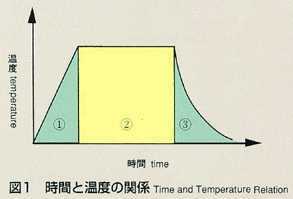 With this method, the diffusion coefficient may be measured by examining time-dependent variations of concentration of tracer which is initially placed in a capillary-shaped sample. For MSL-1, lead-tin-telluride formed of two different composition (Pb0.8Sn0.2Te and Pb0.7Sn0.3Te) is used as a sample. Lead or tin may be used as a tracer. A graphite melting pot with cylindrical holes, 2mm diameter, 80mm long, will be used. Also, a graphite lid and spring are implemented to eliminate the free surface in response to the sample volume change during heating, fusion, cooling and solidification process. To prevent oxidation of the sample, the melting pot is double-contained by a cylindrical quartz and tantalum. After the sample is heated and melted, the temperature will be held, allowing the diffusion to proceed for a certain time. The sample will then be cooled down and solidified. 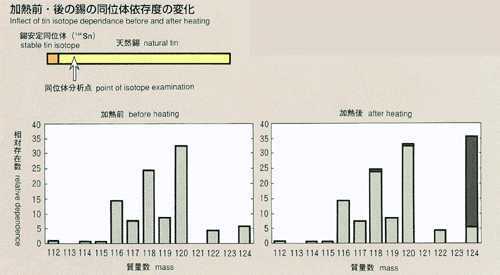 The diffusion coefficient will be determined by analyzing the isotope density of the sample. 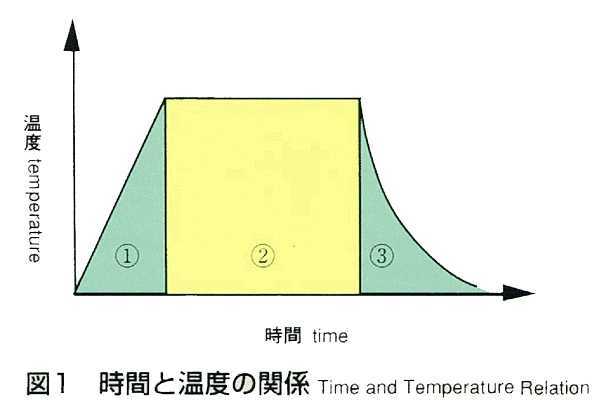 Because the theoretical diffusion model is based on a constant temperature, the diffusion which occurs during heating and cooling introduces some calculation errors. Rapid heating and cooling will minimize these effects. 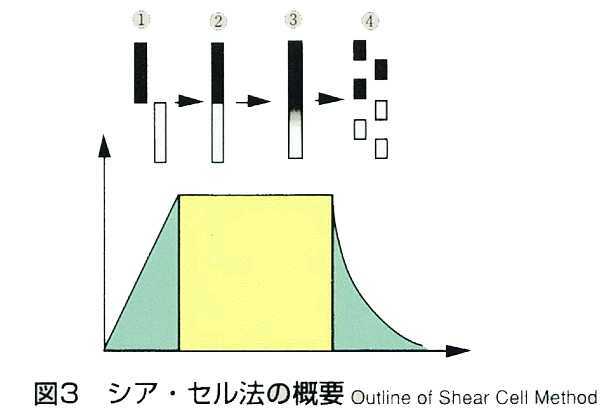 An accurate diffusion coefficient will then be determined, and compared with results from the Shear Cell Method. Ionic melts is a molten chloride, consisting of an anion and a cation. Studying diffusion in ionic melts should provide us with more information and help us better understand the nature of electrical interactions. In this research, the diffusion coefficient of ionic silver in ionic melts (LiCl-KCl) will be measured by chronopotentiometry, a commonly used method. 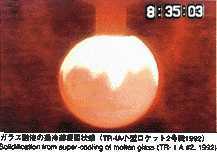 This method requires only a brief period, and should be free of gravity-induced convection. However, those experiments done on the ground have shown some enormous range of results, implying the effect of gravity. In MSL-1, in a microgravity environment that generates little gravity-induced convection, an accurate diffusion coefficient will be measured in real time. Applying a voltage between electrodes, inserted in ionic melts, induces current. The degree of voltage or current depends on the numbers of ions, travelling towards electrodes. Under certain condition, electric current may be induced only by ionic diffusion.This will be suitable for measurement by the electrochemical method. With chronopotentiometry, an appropriate current is applied between electrodes. The diffusion difference coefficient will be determined by analyzing the time variation of voltage difference between electrodes. This voltage difference will maintain a constant value in response to only diffusion of ions, which may be correlated by the following equation. The diffusion coefficient will be calculated by inserting transfer into the equation. The accuracy may be improved by applying low current and by extending the transfer time. While ground experiments use higher current and measure voltage faster to prevent the effect of gravity, space experiments can use lower current in various levels and measure various transfer times in order to obtain a diffusion coefficient with high accuracy. Lithium chloride and potassium are used with silver chloride added as a tracer, and include electrodes for chronopotentiometry. The samples are triple-contained (BN-made cylinder�Cquartz ampoule�Ctantalum cartridge,from inner to outer). 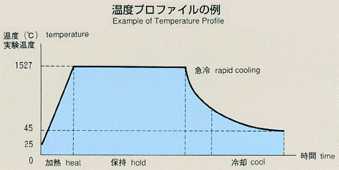 A standard temperature profile is shown below, and parameters will be changed to cover various types of experiments. Chronopotentiometry data, obtained through processing of samples, will be sent to the ground for analysis by researchers. An improved long-capillary, shear cell method will be introduced for the diffusion experiment in MSL-1, and its reliability and mechanism will be evaluated. Also, the same samples will be processed by the shear cell method under identical conditions as those experiments using the long-capillary method, and will be compared and studied together. 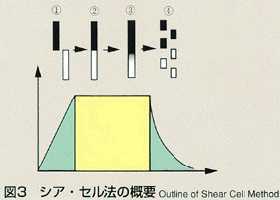 The shear cell method was conceived to make up for the disadvantage of the long capillary method. The shear cell melting pot is constructed by circular segments with a hole, and is capable of engaging and disengaging the molten samples by rotating the cells. In the shear cell method, the molten samples will be engaged only while temperature is constant, minimizing the effect of diffusion during heating and cooling. This method also has the advantage that it can accurately measure samples which have a large volume expansion and contraction, or a great difference in melting point. 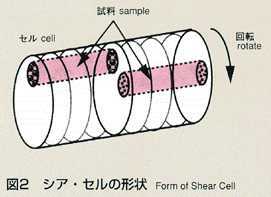 The disadvantage of the shear cell method is that rotation of cells may disturb the process of diffusion due to the inertia or viscosity of samples. 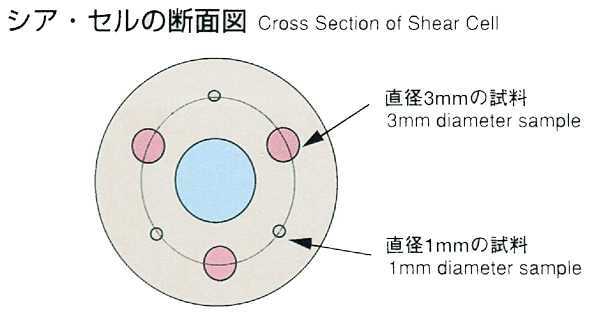 The thickness of cell segments and rotation rate, which are critical to the accuracy, are analyzed and optimized prior to the manufacturing of shear cells. As a result, the thickness is determined to be 2mm and 28 cell segments are to be used to construct a melting pot for high accuracy. Two samples, lead and lead-tin-telluride, will be used, inserted in BN-made melting pots, and contained in tantalum-made cartridges. The samples will be heated up to the target temperature and engaged by shear cell rotation done manually by crew members on orbit. After holding for some duration, the crew will rotate the cells again to disengage the samples and terminate the diffusion process. The density distribution of tracer will be examined post mission using Secondary Ion Mass Spectroscopy (SIMS) and Electron Probe Micro Analyzer (EPMA) to determine the diffusion coefficient and effects of cell rotation during the process. Sintering is usually used to form materials which have a high melting point. 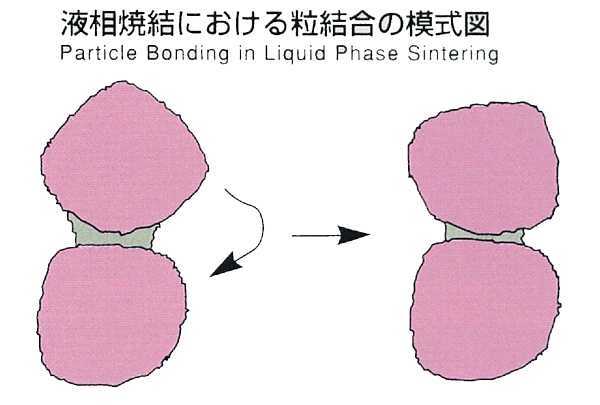 However, this method requires high temperature and long duration for heating in order to bond the junctions between ground material particles by congelation or diffusion. Liquid phase sintering, employed in MSL-1, makes it possible to process the sintering at lower temperature and short duration by saturating molten metals, which have lower melting points, into ground materials. At the junctions between powdered materials which have high melting points, the effect of interface force is dominant, promoting the local process of melting and eduction, and bonding between particles will be accelerated. 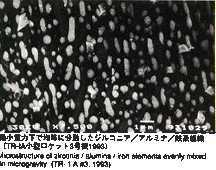 The existence of high-density particles and the reaction against gravity disturb particle formation and melt circulation, resulting in uniform sintering. 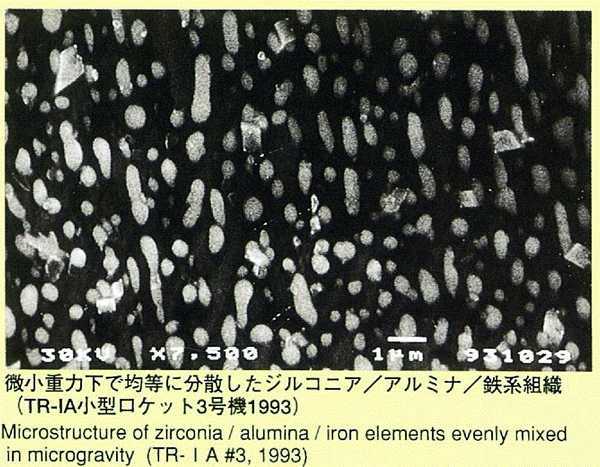 The mechanism of sintering with respect to gravity has not been clarified. 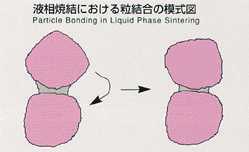 This experiment is expected to clarify the mechanism of liquid phase sintering, succeeding from lML-2. The samples, powdered tungsten, nickel and iron, with seven different compositions are individually contained in tantalum cartridges and will be heated up to 1500degrees. Experiments will be performed with various holding duration of heating. Various types of semiconductors can be made by adding some other elements to silicon or germanium. The diffusion coefficient of impure elements in semiconductors is of great importance and critical to manufacturing processes of good quality. 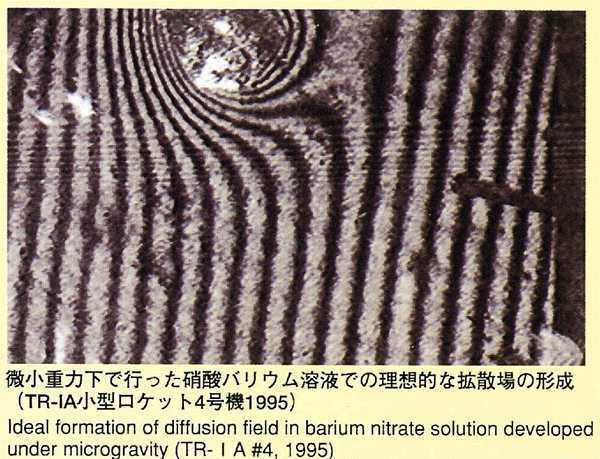 A definitive measurement of diffusion coefficient will explain the mechanism of diffusion, and high quality semiconductors can be manufactured. 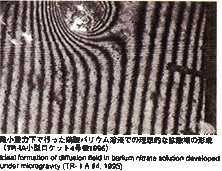 However, an exact diffusion coefficient has not been derived from ground-based experiments due to the effect of gravity. The samples of germanium and gallium, with tin and antimony added as impurities, are used and the diffusion coefficient will be measured using shear cell method under two different temperature conditions, isothermal and thermogradient. Also, the effect of the melting pot wall will be investigated by varying the diameter of samples. ln MSL-1, NASA-made shear cells will be used to measure the diffusion coefficient accurately. 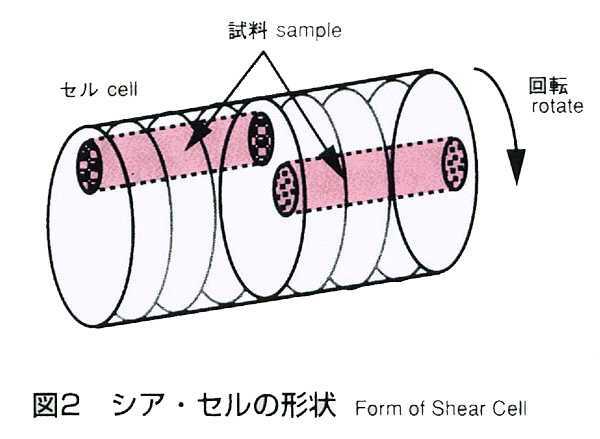 The mechanism of shear cells is generally the same as that of the one NASDA developed, which is capable of disengaging and engaging the samples by rotating the cell segments. The samples with diameter of 1mm and 3mm are used. The samples will be heated up to the target temperature and engaged by shear cell rotation done manually by crew members on orbit. After holding for some duration, the crew will rotate the cells aging to disengage the samples and the diffusion process will be terminated. The impurity density will be analyzed, and the diffusion coefficient will be determined after the mission.